Hand #224: Kenneth Lind continued to employ his small ball strategy, limping in and giving Dana Ott the option. Ott checked to see a flop of hit the board, and he led out for a bet of 400,000. 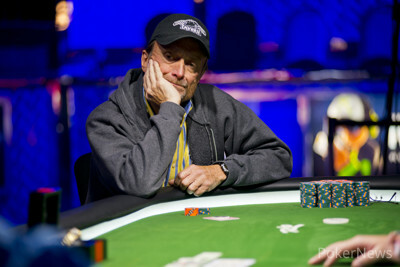 Lind appeared focused on the hand, sizing up Ott's stack and staring intently across the table at his opponent. Eventually, he flat-called and the turn came the . Slowly tapping the table, Ott announced a check, and Lind immediately moved two stacks forward for a bet of 1 million even. Now it was Ott's turn to tank, and he thought things over for thirty seconds or so, before rising to his feet and saying "I'm all in." Lind stood to his feet and made the quickest call of his life, and with that Ott suspected the worst. "You got the straight don't you?" he asked, while tabling the for trip sevens on the turn. "Yes I do," was Lind's reply, and he proudly tabled his for the flopped nut straight. Ott appeared to be resigned to his fate, and although he had plenty of board pair outs to make the winning full house, even he seemed to suspect that destiny was simply on the other side of the table. With that, Lind erupted in an unbridled expression of joy, screaming "Yes!" as loudly as he could while pumping his fists in the air. 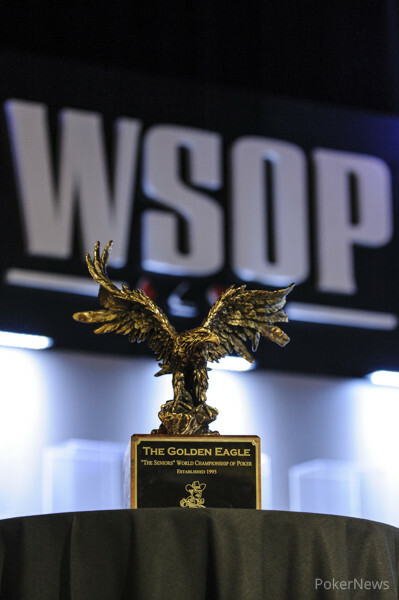 Ott graciously congratulated the winner, and despite falling short in this heads-up battle, he played with admirable skill and resolve to mount a brief comeback from a 3:1 chip disadvantage. For his runner-up finish here at the Seniors Championship, Ott takes home nearly $400,000, along with a story to last a lifetime.